Motivations for smart city development are shifting – from excitement over what digital technologies have to offer to a more thoughtful consideration of how these technologies can be put to work to improve the lives of citizens. To ensure a sustainable future, cities must put liveability at the heart of development and investment plans. To track citizens’ opinions on top priorities for smart city development going forward, KPMG China, in association with CLP Holdings, JOS, Siemens, Smart City Consortium and Wilson Group, recently launched a new report entitled Connected Cities: Citizen insights across Asia Pacific. The report features findings from a survey of 4,192 residents in Hong Kong, Melbourne, Seoul, Shanghai, and Singapore, seeking residents’ opinions on the development areas most important to them as well as what benefits they expect as their cities become ‘smarter’. Key focus areas include transportation and mobility, building a future-focused workforce, living environment, healthcare, energy and resources and the impact of technology. The current state of smart city development in the five cities surveyed as well as key differentiators and best practices. Hong Kong’s progress in six areas: smart mobility, smart living, smart environment, smart people, smart government and smart economy, as well as next steps. How can we apply technology to improve Hong Kong’s living environment and better manage the city’s energy and resources to build a more sustainable future. Other recent trends in smart city development. Clube has over 20 years in Innovation Technology. Since 2009, he actively engaged in the digital Health development in Hong Kong, Greater China, and Asia Pacific. He is deeply involved in the development of Smart City and dedicated to the Public-Private-Partnership with local and global partners in Asia, Europe, and the US to facilitate numerous Smart City Collaboration projects. 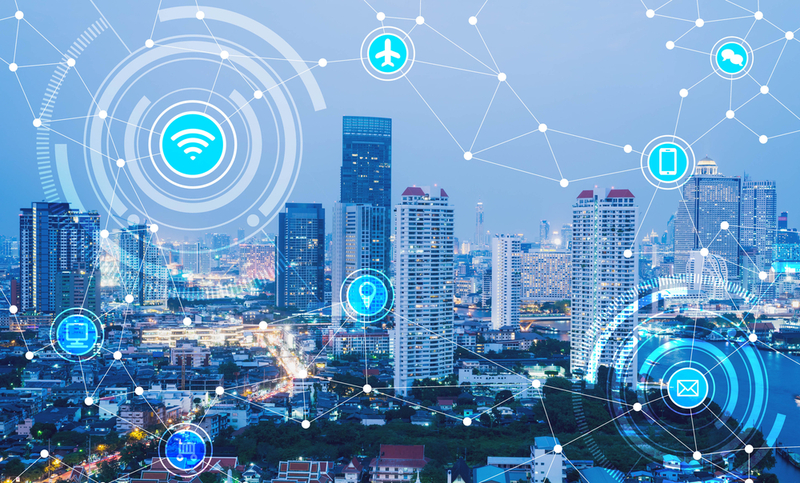 In 2019, Clube has partnered with International IoT and experts to found the Connected City Alliance to promote the development and adaption of IEEE IoT Maturity Index. Since 2009, Clube has supported the development of territory-wide eHealth Record Sharing System in Hong Kong and worked with government officials and industry partners in Hong Kong, China, Taiwan, and Macau to organize the Greater China eHealth Forums respectively since 2011. 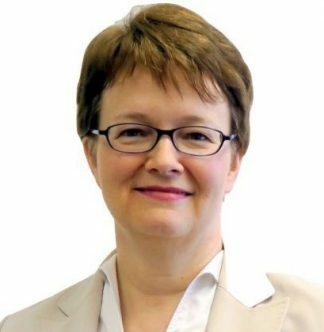 Sabine Reppert, CEO, Deon Digital Hong Kong Ltd.
Sabine has over 20 years of experience in delivering technology-driven innovation in the field of industrial automation. In 1995, Sabine started her career as a software engineer for rail automation and held various management positions for an international large-scale tech company before starting her own consultancy business in 2011. Currently, Sabine is driving the application of Blockchain, Smart Contracts and IoT for Smart Cities, Smart Supply Chains, Smart Mobility, and Fintech by running the Hong Kong chapter of the Swiss start-up Deon Digital. She is an active member of the Mettā entrepreneurs club in Hong Kong and member of the Blockchain chapter of the Fintech Association of Hong Kong. 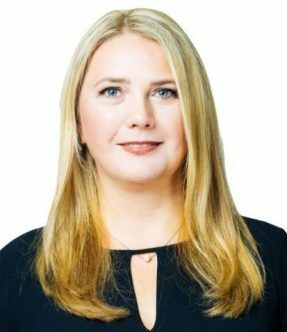 Sabine is the founder of the meet-up group “Blockchain for Smart City”, and she holds a Master’s Degree in Mathematics from Philipps University, Germany, and specialized and software engineering and cryptography. She also obtained a second Master’s in Business Coaching and Change Management from European University of Applied Sciences in Germany and earned the “Disruptive Strategies” certificate from HBX Harvard Business School. Sabine is the author of the e-book “Breakthrough — The art and science of creating magical change by using the example of Theory U”. Tom Uiterwall, CEO, Reconergy Ltd.
Tom is the Founder and CEO of Reconergy (Hong Kong) Ltd, active in the Waste-to-Energy industry both in Asia and Europe. Reconergy is focused on the UCO and biodiesel trade and turning Municipal Solid Waste (MSW) into green electricity, and the proud winner of the 2017 Cathay Pacific Shooting Star award. Tom has been active in the Waste-to-Energy industry in Asia since 2008. Before moving to Asia, he worked for 12 years with CARGILL — the biggest food ingredients company in the world — in the Netherlands, Belgium, and Germany. Tom is also the Chairman of the Environmental & Energy Business Council of the European Chamber in Hong Kong. 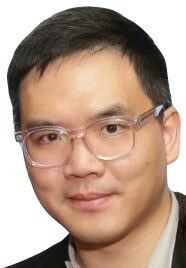 Tony is experienced in coordinating work plans and implementing measures for facilitating the development of a smart city, which cover the Wi-Fi Connected City Programme for facilitating the development and promotion of Wi-Fi.HK for the public and visitors, and programmes and initiatives on digital inclusion. He is also involved in formulating strategies and implement measures for promoting the development of ICT industry. Tony is responsible for facilitating Hong Kong to develop into a regional high-tier data center hub, promoting the cooperation between the Mainland, overseas and Hong Kong on ICT and electronic commerce development, providing technical advice in handling matters relating to ICT between Hong Kong and APEC, WTO and related international bodies, and assisting in monitoring the Hong Kong Internet Registration Corporation Limited and other matters relating to the administration of the domain name system in Hong Kong. 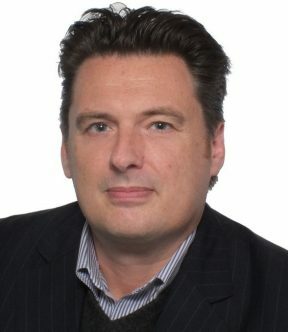 Waltraut is director of Knowledge Dialogues, specializing in applied research and advisory services relating to societal and public policy issues around information, knowledge, and intellectual capital across the Asia-Pacific region and Europe. She works on projects at the intersection between universities, government, business, and society, in research areas that include knowledge-based economy in Asia, Open Data policies and public sector innovation, governance in digital/ smart cities, and Futures research. She regularly contributes to working groups of international and multilateral organizations on these topics. 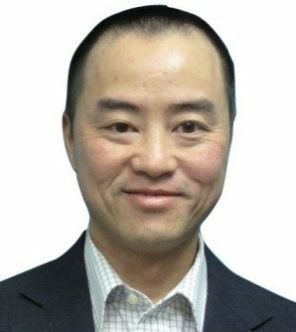 Waltraut is adjunct faculty in the Technology Research Project at the University of Hong Kong and was assistant professor at the Nayang Technological University. She holds an MA in Information Science and Sociology from the Free University of Berlin and an MBA in international business from Anglia Ruskin University, Cambridge, UK. She is a founding member of the New Club of Paris, a knowledge-economy think tank and has been serving on the Digital21 Strategy Advisory Committee of the Hong Kong SAR government from 2010-2017. She also engages in the ICT council of the European Chamber of Commerce in HK. 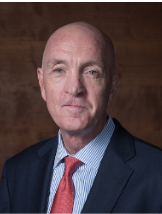 Austin R. Bryan joined CLP Holdings in May 2016 as Senior Director – Innovation, leading the company’s innovation & ventures strategy in the face of challenges presented by digital disruption. He is also a Director of various subsidiary companies of the CLP Group. Austin has been a pioneer of new services and value creation in the digital media sector for the past 10 years and is a globally recognised leader in transforming business activities in the financial and telecommunications sectors. His experience spans the creation of the first direct banking activities in Germany in the early 1990s, the introduction of virtual customer service platforms for American Express and creation of the first 3G multi-media mobile network in Australia with “3 Mobile”. 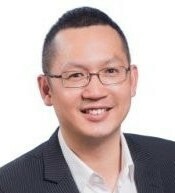 Most recently he was Vice President of Strategic Innovation at Singtel Optus, in which he led the acquisition of major digital media projects and created a US$1 billion digital media business developing and implementing new digital products and services.